Over thirty five years of experience! 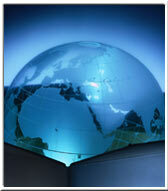 Foreign income and tax credits, expatriates , FBAR reporting. Assistance to taxpayers being subjected to audits by taxing authorities, including representation before the Internal Revenue Service, the Franchise Tax Board and other taxing authorities. Dennis Freeman is a long-time resident of Novato (Marin County), California. He is assists selected individuals with complicated income tax situations. This includes income tax preparation as well as tax consulting. He also assists both large corporations and small businesses who face a variety of tax challenges. Dennis' philosophy is to provide personalized, timely responses to client requests. He is involved with, and actively participates in professional, community and veterans' groups. Outside of his professional life he has been named Knight of the Year by the Novato Knights of Columbus council, been awarded the District Award of Merit by the Marin Council, Boy Scouts of America and was named 2007 Outstanding Trooper by the 11th Armored Cavalry's Veterans of Vietnam and Camodia. Exempt Organization Reporting - preparation of I.R.S. Form 990 and state forms required for charities and other tax exempt groups. Tax return preparation for estates and trusts, including Form 1041 (U.S. Income Tax Return for Estates and Trusts) and Form 706 (United States Estate (and Generation-Skipping Transfer) Tax Return) for applicable years.